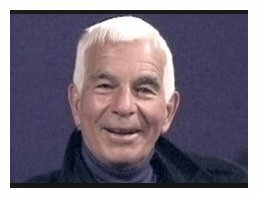 Lee Hoiby Interviews with Bruce Duffie . . . . . . . .
Lee Hoiby (February 17, 1926 – March 28, 2011) was born in Wisconsin of Scandinavian extraction. His maternal grandfather was a violinist and teacher who emigrated from Denmark. His aunts comprised a touring all-girl saxophone band, and like Brahms, he was forced by his father to entertain in alcoholic dives. Important European musicians in flight from Hitler gathered at the war-time music department of the University of Wisconsin at Madison. Among them were performers like the Pro Arte Quartet, led by Arnold Schoenberg’s son-in-law Rudolph Kolisch, from whom Hoiby learned the highest levels of European musicianship. They also introduced him to the dodecaphony of Schoenberg and Webern, which he rejected. Also on the scene at the Madison campus was the eccentric American composer Harry Partch. Hoiby had great fun as a kithara virtuoso in Partch’s ensemble of garage-made instruments, but showed no inclination to include experimental scales and moanings in his personal vocabulary. At Madison, Hoiby’s prodigious pianistic gift was nurtured by Gunnar Johansen, the Danish virtuoso who recorded the complete keyboard works of Bach, Liszt and Busoni. Johansen passed Hoiby on to his own pianistic mentor, the Busoni acolyte Egon Petri, with whom he studied at Cornell and Mills College. On the verge of a career as a concert pianist Hoiby was offered, on the basis of a few works written for fun and submitted without his knowledge, a full scholarship to study composition with Gian Carlo Menotti at the Curtis Institute in Philadelphia. Menotti subjected Hoiby to two years of strict Palestrina counterpoint, and then infected him with operatic ambitions. He worked closely with Menotti as assistant during the period of the The Consul, The Saint of Bleecker Street, and The Medium. The effectiveness of Hoiby’s 1957 one-act opera The Scarf was noted at the first Italian Spoleto Festival, and it was produced at the New York City Opera the following season. Hoiby’s next opera, Natalia Petrovna (NYCO, 1964; revised version, A Month in the Country, 1980) was praised by the distinguished Washington critic Paul Hume, particularly the closing octet ("of overwhelming beauty, a supreme moment in opera") that he classed with the Rosenkavalier trio and the Meistersinger quintet. Another important critical voice, Irving Lowens, Music Librarian of the Library of Congress, wrote of “the clean simplicity, the beautiful eloquence of the vocal lines. 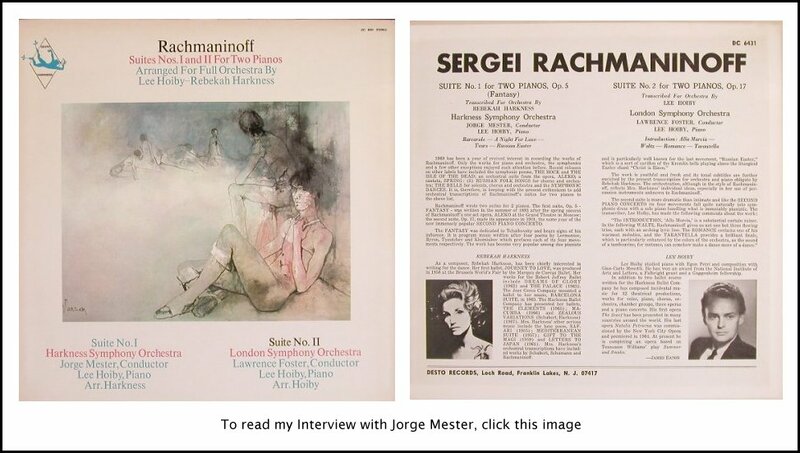 There is no question about this lyric gift; his melodies are more compelling by far than those of his teacher Menotti.” Most telling was a later consideration by Frank Merkling, editor of Opera News. "Indulging in neither breast-beating nor serial cerebration" the opera was “curiously novel for its very lack of chic; it simply went about the business of fulfilling all the functions of an opera successfully." 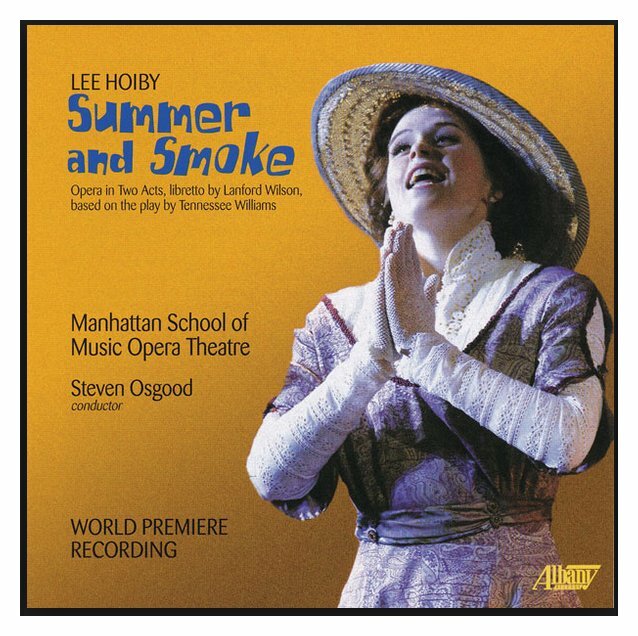 Hoiby's 1971 setting of Tennessee Williams's Summer and Smoke (with libretto by Lanford Wilson) was declared "the finest American opera to date" by Harriet Johnson of the New York Post. 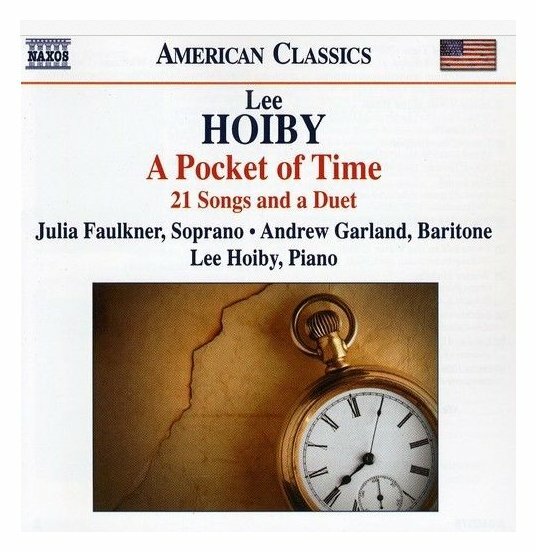 Still, the mid-twentieth century prejudice against tonality and lyricism, combined with Hoiby's own professional and social independence, worked against widespread recognition. In 1981 Peter Davis wrote of a new production of Summer and Smoke in New York Magazine that "Perhaps ten years ago, music of this sort, unabashedly drenched in ardent melody, was considered something of an embarrassment. Today such an attitude seems childish and irrelevant." Hoiby continued to pursue lyric opportunities with his 1986 setting of Shakespeare's final play, The Tempest, (for the Des Moines Metro Opera) of which Opera Magazine (London) wrote that it was "redolent of Das Rheingold and Richard Strauss, but even so was melodically, harmonically, and musically, pure Hoiby," while the Christian Science Monitor found it "superbly singable and downright beautiful". He also completed a lavish three-act setting of Romeo and Juliet. 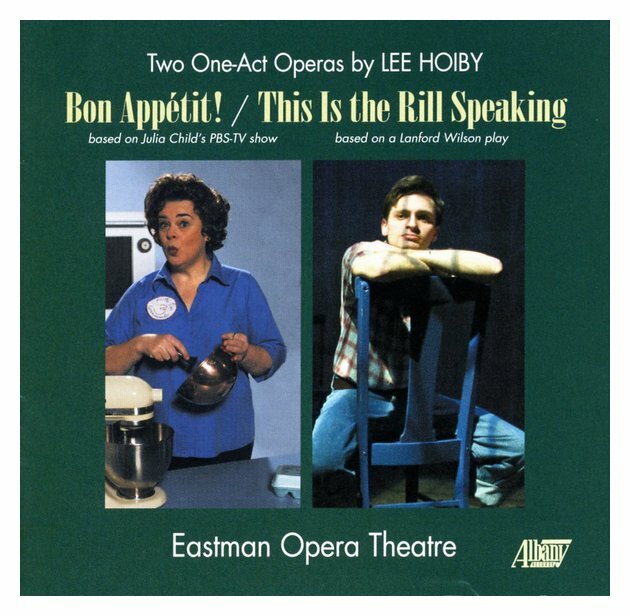 Other operatic works by Mr. Hoiby include the one-act comedy Something New for the Zoo (1979); the musical monologues The Italian Lesson (1981, text by Ruth Draper) and Bon Appetit! (1985, text by Julia Child) which together ran off-Broadway and toured nationally with Jean Stapleton in the late 1980s, and a one-act chamber opera, This Is the Rill Speaking (1992, on the play by Lanford Wilson). Later vocal chamber works include a music-theater piece on texts of Virginia Woolf, What Is the Light? 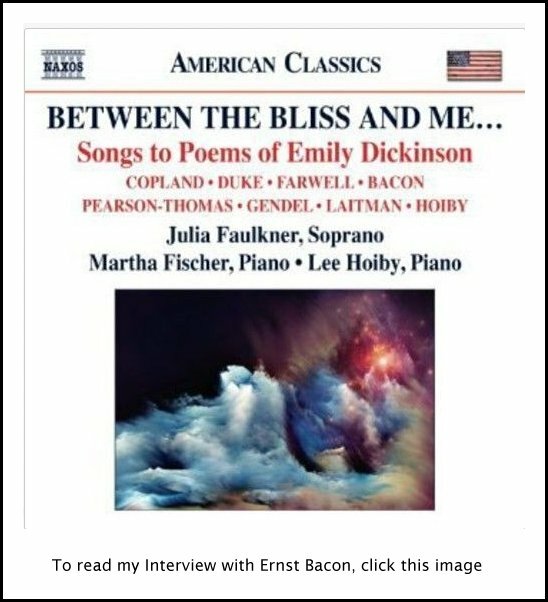 written for Claire Bloom and the 92nd Street Y; Rain Forest for voice, wind quintet and piano, on prose poems of Elizabeth Bishop for the Santa Fe Chamber Music Festival; and Sonnets and Soliloquies, a group of Shakespeare settings for soprano Jennifer Foster and the Miro String Quartet. 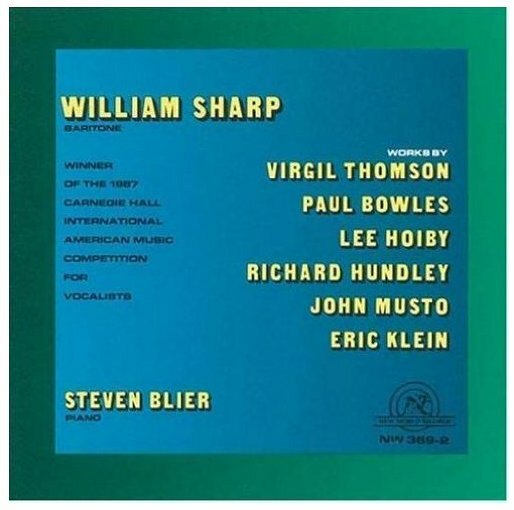 Also of note among his larger compositions for the voice is his 1991 setting of Martin Luther King, Jr.’s I Have a Dream for baritone and orchestra, which has had memorable performances by baritone William Stone and bass-baritone Simon Estes. 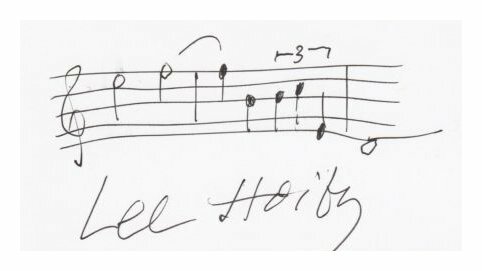 Hoiby has also made significant contributions to the piano repertory (in addition to his demanding song accompaniments), including two piano concertos and a volume of solo piano works published by G. Schirmer. His choral music is performed in churches throughout the USA and in Great Britain. Indeed, some of his most substantial works are for chorus, including the Christmas cantata A Hymn of the Nativity (text by Richard Crashaw), the oratorio Galileo Galilei (libretto by Barrie Stavis), and an accrual of works for voice, chorus and orchestra on texts of Walt Whitman which have been gathered into a full evening’s program called A Whitman Service. 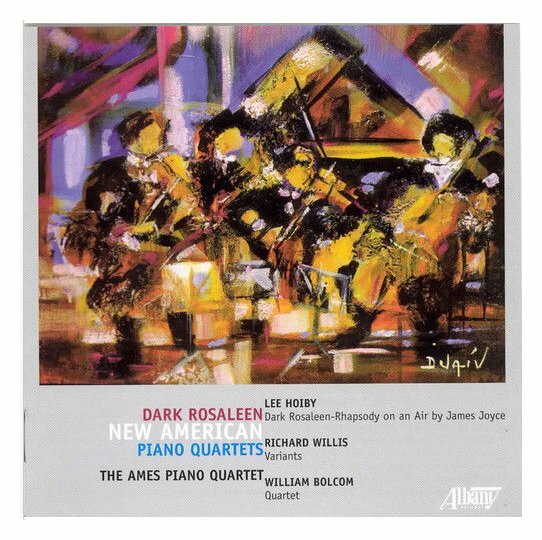 He has written chamber music in numerous combinations, including sonatas for violin, ‘cello, a concerto for flute and chamber orchestra (“Pastoral Dances”), and Dark Rosaleen (Rhapsody on a theme by James Joyce) recorded by the Ames Piano Quartet and released by Albany (shown above). Later works include Trio for the Verdehrs for violin, clarinet and piano, and Last Letter Home for the male vocal ensemble Cantus. His three-movement Summer Suite for Wind Ensemble was premiered on February 25, 2008 by the Austin Peay State University Wind Ensemble under the direction of Dr. Gregory Wolynec. Since the original use of this first interview was on WNIB to promote the performances in June of 1980, I began with a formal introduction for the listening audience . . . . . . .
Bruce Duffie: I am speaking today with two very distinguished musicians — Robert Frisbie, the conductor of the American Chamber Symphony and the Music Director of the Chicago Opera Theater, and the distinguished American composer, Lee Hoiby, who is in Chicago now for performances of Summer and Smoke and the world première of his new Piano Concerto #2 in D. First, let’s talk about the piano concerto. This is a world premiere? You’ve just had a rehearsal, so how is it going? How do you like your work? Robert Frisbie, 55, a conductor who served as music director and sole conductor of Chicago Opera Theater from 1974 to 1981, died last week at his home in Lake Forest. He was an important figure in the opera theater's early seasons. A former assistant to conductors Margaret Hillis, Giuseppe Patane and Herbert Blomstedt, Frisbie founded and conducted the Chicago-based American Chamber Symphony during the 1980s. Lee Hoiby: Well, the first read-through of a new work is always kind of traumatic. It’s like a birth process, and I don’t want to use the word occult because there’s something kind of spooky about it, but I’ve noticed that in anything I’ve ever written, the first time it’s read through it's usually a hairy experience. Maybe there’s bars missing, or you suddenly realize you shouldn’t have had a cymbal there, and it usually gets interrupted quite a lot. Then you have your performance, and you play it, and the next time you take it to another orchestra and play it through, you don’t have those difficulties at all, even though they are seeing it for the first time. On the very first maiden voyage of a work it feels that I have to break the ice of the piece. This read-through, however, was very smooth. BD If you make adjustments, do you touch up the score? Do you make those decisions right there? Robert Frisbie: Oh, yes, we make the changes right there. Yesterday there were quite a few. Tomorrow when I get home, I’ll probably think about other things to do. The wonder is that you don’t have to change more. There’s so much going on. BD Has it been published yet? LH: No! I would like to play it quite a lot before I publish it. BD You are the soloist in this concert with the new concerto. How do you feel about composers in general playing their own works? LH: Well, it’s something that happens very rarely these days. Poulenc and Benjamin Britten are two that I can think of that played quite a bit of piano and were very good pianists, but there was a time when everybody did. Up until to Rachmaninov, it was expected, and he could also play. Nowadays there are very few composers who also play seriously, and there are practically none that I know of that play other music besides their own. BD Do you play other music? LH: Oh, yes. I made my debut in New York a couple of years ago, and I played Bach and Chopin and Beethoven and Liszt, and then Hoiby. BD: Tell me about working with a composer as performer. It’s one thing working performers but how do you like having the composer sitting there? BD: Have you been to performances of your instrumental works where you have been the soloist and then watched other people play them? BD: He does have a feeling for your style. BD: Do you like playing his style? Frisbie: I love playing his music. I absolutely adore it, and this concerto is something very special for me. Lee has really found the means of embodying concerti in his writing, and when you hear it on Saturday night you’ll see exactly what I’m talking about. It is wonderfully orchestrated, and musical ideas are very well thought out and integrated. It’s a beautiful, beautiful work. The thing I wanted to say is that it’s very interesting working with the composer as performer. It is different than working with the composer who plays something by someone else. It’s very, very interesting to work with Lee as a pianist in his own work. I’m trying to be as articulate as I can because it’s almost a non-verbal experience that we go through. We really have found we have a great deal in common in terms of phrasing and our feeling about the music. LH: The first time we spoke about it on the telephone, I was in New York and he was in Chicago. He called up and said, “I’ve got the first movement,” and he sounded excited about it. I said, “What about that place here?” He was talking at the same time I was talking, and we both started playing the same notes at the same time! He played the piano in Chicago, and I liked it, and then I realized I was playing the same part on the other telephone! It’s really nice when that happens. BD: Are there more piano concertos in your plans? LH: Well, not right away. This has taken me a long time. I began it last November, on the 24th, and I didn’t stop working on it until we last met on April 12th. BD: You were working only on this piece? LH: Only on that, yes, and I didn’t really finish the orchestration until just a few days ago. BD: Is it typical for you? Do you always work on one composition, or do you normally have two or three going at once? LH: For a big work like this I would stick with one. Sometimes I’d take off a week and write a song or something like that, but I like to keep with one big work... although one song I wrote took four years! [Laugh] I got stuck. BD: Since you play the piano, do you find it difficult to write for the piano? BD: You both seem you’re having a lot of fun! Frisbie: I must tell you, the morale of the orchestra is really riding high. It comes with these wonderful performances, and the fact that we’re getting ready to put the opera on television. We’re working in an ideal atmosphere for your concerto because they understand his lyrical style so well. BD: It is obvious that there’s an interplay between the two of you about the music. You’re always thinking about the music, not consciously but sub-consciously. When you’re composing a big work, do you always have the music in your mind even when you are watching television or reading a newspaper? LH: In answer to that I have to tell you about something that was said to me by a stage director who worked a lot with composers. 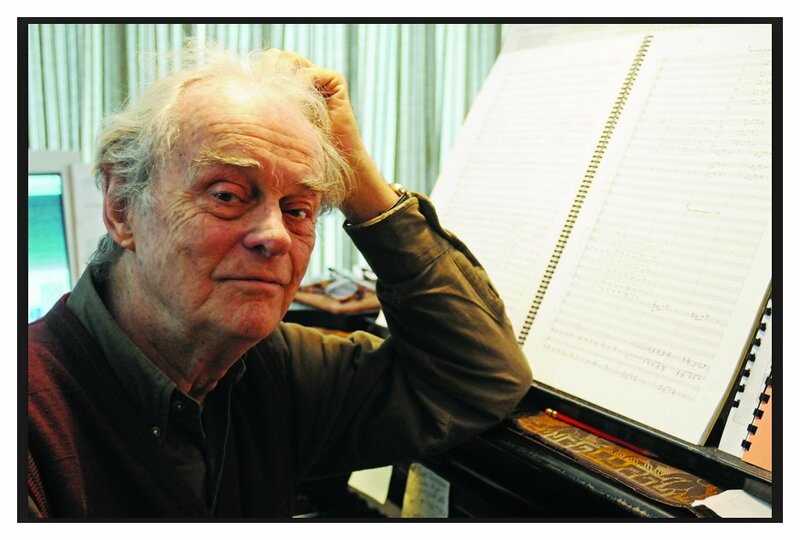 We were working on one piece and he said, “Ah yes, you have gotten your next work in your head, haven’t you?” Some people would take offense at that, but he looked right through me and said, “I’ve learned to observe this in composers. When they’re working on something, the rest of the world is blotted out of their head, and it’s going round and round like a record inside your head.” It’s true! I can’t get to sleep at night because it just keeps playing in my head, and doing this concerto for six months, I have been sort of like off the air. A lot of times people have said to me, “Hello?? ?” [Laughter] It takes over and it possesses you the more deeply you go into it. It’s just the way it has to be I suppose. BD: Do you find that after it’s fully formulated you can go on to other things? LH: Yes. In the process of writing a section of music, especially if you really get into a complicated part of the work, it revolves around and around in you. You become that section of music, and after you’ve lived with it for a while, then it lets go and it just becomes another part of the piece. When you hear the piece, you may remember the time you had writing it. It’s such a thrill when that happens. Frisbie: We had an interesting experience for Lee the last night of the opera because we made several little cuts in the opera in order to produce it for television. They were little things, just snippets here and there, which Lee recommended for the television because it was a bit too long. We had to take out about twelve minutes, and he remarked afterwards that it was a series of surprises all night long because the opera would have these little cuts. He’d approved them but he’d never heard them! LH: Surprises they were! I was told that they were necessary for practical reasons, but they turned out to be very beneficial to the opera. BD: So the next time you do it on stage will you leave those cuts? LH: Absolutely, I’ll take those cuts out. There will be a revision. The need to make the opera shorter by about twelve minutes forces you to search for cuts. Frisbie: They may only be a couple of bars or a couple of lines, or in some cases a whole page. BD: But you wouldn’t have done that without the necessity of having to cut it for the television? LH: No, I wouldn’t have. The next time I would, but it woke me up, to be honest. BD: So now will you go back to Natalia or other earlier works and look at them? LH: Absolutely! I already have several of them revised. I don’t know if it is right to say this in public, but why not! Someone who ought to know told me that there are ten extent versions of Tosca, and that there are ten full different sets of parts in the vaults of Ricordi’s publishing house in Milan which Puccini did, one after the other until he finally found the version that we now know. BD: There are always versions of various sorts, and composers approve and disapprove of cuts made by liberty-takers. LH: Verdi is full of them, and Puccini cut a whole act of Bohème. He knew what he was doing. BD: I’ve love to hear the original version of some things as opposed to the standard, traditional versions. LH: But some composers refused to make any changes in their works at all. BD: You’re a composer, and you’ve gotten a work that has now been revised. What would you say if I, as an impresario, had an interest only in doing the original version? LH: Oh, I would protest! [All laugh] I would try to encourage you to do the other version because it’s better. BD: Is that always the case? LH: Oh, I don’t know. If it’s really better, everybody knows it. When it works better, people feel better about it. For instance when Schumann revised his symphonies and loaded them down with doublings, that was a mistake. He’d go back to the original versions, and everyone agrees. BD: [To the conductor] Now that you’ve come back to it, how do you feel about this version — or do you agree with him that later versions are generally to be preferred? Frisbie: I think generally, yes. Revisions are an improvement because the work has had a chance to settle in the performers’ minds and the composer’s mind, and revisions are made with a much deeper understanding of the work than when you first perform it. [To the composer] I’m sure that the 16th and 18th and 25th and 50th time you play this concerto, you’re going to have a much deeper grasp of what is really special. [Back to the interviewer] It is the same way myself — I think those revisions then will be much more subtle than what we could make at this particular moment. What happens to a lot of composers, especially of late, is that they write a piece and give the best they have to it. They do their best, and then it gets done, and then they go on to something else and they don’t really want to go back and get back into the current of that piece that they’ve finished a few years ago. This is true even though someone may suggest sensible changes. It’s terribly hard to go back to a work and revise it. Writers are different. Henry James revised everything, but most composers want to go on to the next work. They’ve got something that’s eating them up and they have to write it down. There isn’t time to go back and revise something. BD: [Being devil’s advocate just a bit more] What if an impresario would say he really prefers the original version and thinks it’s better. Would you still protest? LH: I might still protest, and he might go ahead and do it anyway. BD: Suppose the public prefers one version over another? LH: Well, the public usually is right. In the end, the public is the body of human beings who decides the fate of any composer in general. The critics may cut you to ribbons, but the public may take you to its heart. That happens. BD: Are you usually pleased with your works when they are done? LH: Almost always! They have been works I have worked very hard on, and I really want to be pleased. I have some unfinished pieces on the shelf, and I regularly go back and work at them if they have something of value in them. I really love certain ideas, and would like to go back to them and finish those pieces. BD: Would you rather work on those pieces, or would you rather take a particularly lovely theme and put it into something completely new? LH: No, I think I should try and make it what it was intended to be from the start. By the way, I’ve taken a work that I began twenty-five years ago. It is a short one-act opera buffa, which I put aside when I finished about half of it. It’s called Something New for the Zoo. About a year ago I picked it up again and took it to my publisher, and he said I should finish it! So after twenty-five years it’s being done somewhere in a workshop in Connecticut. 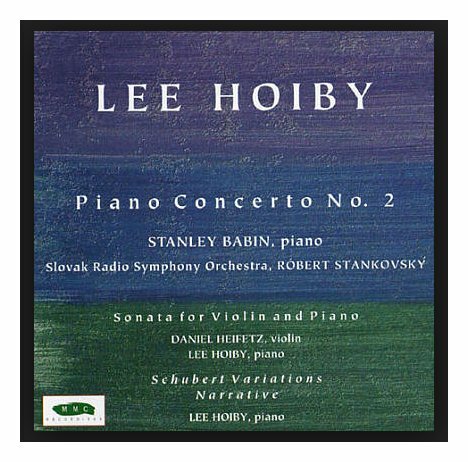 Frisbie: One thing I would like to say is I have really immensely enjoyed working with Lee on his concerto, especially from one aspect, and that is his absolute mastery of orchestration. It is very interesting the comments and the few changes we have made, and how Lee is hearing the sonorities in the colors of the orchestra at the dress rehearsal. BD: A composer can put notes down on the page and hear it in his head. Do you find that it’s different than when you hear it actually played aloud? LH: It comes from experience. Sometimes when you actually hear it played it’s so much better. I’ll never forget the first time I heard a large orchestral piece of mine played in 1952. I had worked so hard on it and I’d heard seven different versions of it. I’d heard them play with the college orchestra and I had a pretty good idea of it, but when I heard the Rochester Orchestra snapping around bouncing around with strings it was such an extraordinary surprise. It’s not always such a pleasant surprise but that time it was. BD: Do you like writing the operas more than instrumental works? LH: It’s such a different experience that you can’t really compare the two things. They elicit a completely different energy response from my mind. BD: You don’t want to be looked at as an opera composer or the concerto composer, but as a composer? LH: Yes! I have spent most of my composing years writing operas because it takes so long. Summer and Smoke was four years, Natalia was four years, and a concerto is only six months. But I worked every bit as hard on the concerto as any opera. When you write operas you have to attune yourself to a story, mainly the words which give you the feel we have which are very poetical and very beautiful, like in Summer and Smoke. BD: Operas, of course, take you longer to write. LH: Well, it’s two hours of music. The Piano Concerto is only twenty-seven minutes! BD: So it’s probably about the same measure for measure? BD: Where’s opera going today? LH: I can only speak for myself. I really like writing operas. They work with the audiences, and it’s the experience that calls for the best I have as a composer. I’m a very lyrical composer and I like writing for the voice. I also love the orchestra, those two things. I’ve always been in love with it, but for me I can say that in my view opera is a very lively thing. It can go anywhere. I hope other people feel the way that I do about it. I’m a composer and lots of composers are writing operas. Now’s there’s a wonderful development. I mentioned that there’s a workshop of my opera-buffa, and this is a great luxury for an opera composer to see it in a situation in front of an audience — not with orchestra, just with piano, but with really good singers. You have a period of two or three weeks to work it over and have rehearsals, and try and kind of revise it. You then have two good performances in front of invited people. There will be a lot of critics there, but they don’t write about it. There will also be producers from various opera companies all over the country and some from all over the world to come and look at it. BD: What’s the point of having the critics there if they’re not going to write about it? LH: They’re interested. I know several who are going to come. BD: They just want to hear your piece? LH: Yes, to see the new work and see what’s happening. Summer and Smoke had no such luxury. We just prepared it the best way we had, then put it on the stage and there they were. Same thing with Natalia Petrovna. Things can be very tricky and even a slight miscalculation can be trouble. In Natalia Petrovna there was a line that got a laugh in the wrong place. They had the audience right in their hand up until a certain moment. It was a very powerful, high, dramatic moment, and this line came out and the audience found it amusing and funny! It shouldn’t have; the line shouldn’t have been there. It was just a matter of taking the line out, but we didn’t know that until we played it in front of an audience. So to answer your question about where opera is going, there’s a beautiful development. You can’t just expect a composer to write an opera and put it on the stage. Look what happened to Antony and Cleopatra. If that had had a workshop, it would have gone much better. BD: Did you hear the revised version of it? LH: I did, and it was infinitely better. BD: Do you feel that work now deserves a major staging? LH: Oh, I certainly do, yes. It’s a very beautiful work. BD: Are there other opera composers and operas you admire greatly? BD: Because of all the expenses involved, aren’t we really expecting more hits than misses? LH: It isn’t the expense of the composer’s commission. That’s about the least expensive. It’s the other expenses that can be very, very high. It’s prohibitive in many places. BD: That is from the composer. Now let me ask the conductor, where is opera going today? Frisbie: I’m very, very encouraged with what’s happening in America. Look at the number of new opera companies that have just literally sprung from the earth. Here in Chicago we have several really fine regional companies that are flourishing, and this is not atypical. This is happening all over our country, and I’m very encouraged by the number of performances of American works like Lee’s. There’s an appetite developing with the public for exactly these kinds of things. Theatrical values are being brought up and that is very healthy. They’re really making the story, the theatrical, the dramatic end of it important. BD: Are they being conditioned by television and movies? Frisbie: Yes, I think so to a great extent, and that’s a healthy development in opera. It’s very healthy, however another part of me yearns for really great voices regardless of how they move on stage. That’s the conductor in me speaking. From a total standpoint, though, it’s a very healthy development. BD: If you’re given the choice of having a great singer who looks terrible or a not so great singer who looks terrific, which would you opt for? BD: How does the composer feel? LH: I want in it who’s convincing dramatically first and foremost. The voice, to me, is definitely secondary and I do not miss the time when they had only to just move their hand on a stage and wave a hankie. But I’m in the minority, I know that. I’m not running a company. I’ve had very little patience with opera audiences as we know them traditionally, because they just to hear that Vissi d’arte and they talk through the rest. Frisbie: That’s true but don’t you agree there are a lot of singers who really project the sense of the drama in their voice? Vocally they really tell the story. LH: Well, that’s the ideal. Frisbie: Maria Callas, for instance. Frisbie: She had the art which she well understood within her vocal capabilities. That’s why she was so special. Certainly she is unique in that regard. BD: Is there anyone singing now or coming now that can be put in the same league? Frisbie: No. She happened once in a century. Lots of people were not very satisfied with her singing. She had a good career, but many people felt the way I just said I feel. They’d pay for that because she didn’t just move her hands... though it was interesting on television when she put her hands together in one moment in Tosca. All the high notes in the world couldn’t do that. She knew how to combine everything — visually and vocally — and with the colors of her voice she could bring you the consummate dramatic experience. BD: This is what opera is then — all of this combined? LH: She did opera, really. She gave the opera a big shot in the eyes, and removed the stigma, the artificiality which bumped so many people, myself included. She made it real. It had a lot to do with her musicality. That’s a terribly important part of it. The singer who understands music makes it alive. Her voice just never lost musical eyes. That’s why she could make Bellini make sense. She wasn’t just an ordinary singer. She used it like crazy. BD: If you could bring her back, would have her sing Alma? LH: I would have... I used to dream about that all night! BD: I assume you are a composer twenty-four hours a day? LH: I just call myself a musician. BD: When you’re playing the Beethoven concerto, are your own scores running through your head? LH: No, all my concentration is there on the beautiful notes. BD: Is there any way to get your music to be played as much as the ‘standard repertoire’? LH: It helps to have recordings. Once in a while when you get a really good recording, it’s there. It happens quite a great deal. As a matter of a fact, many performers have made their reputations because of recordings they made in Europe. They tried to make a go of it over here and didn’t. I don’t know for sure, but someone told me that when Alicia de Larrocha first came in to the U.S. in 1955 she went virtually unnoticed. Then she went to Europe and made a great many recordings that were widely admired, and when she came back people flocked to hear her. I believe it would help a lot. BD: There are umpteen recordings of the Beethoven Fourth Piano Concerto, however. LH: Oh that helps too. It wouldn’t help Beethoven, but it would help the performer if it’s a good recording. BD: But with perhaps only one recording of a new work, what if it’s a bad recording or even a mediocre recording? LH: A mediocre recording could help you if you have a very clever manager who writes a very powerful letter, and follows it up with phone calls and put it into a package with somebody else. Actually, they don’t even listen to the recording, but the fact that you’re on a record at all will be very, very weighty. On the other hand, recordings can help a lot of pianists who are searching for the same engagements. Frisbie: That is a vast exaggeration! However, recordings are a huge help to conductors. In fact I consider every recording a master class in that particular work. When I’m conducting a symphony I’ve rung Bruce at the station for recordings several times. They’re all great, and he comes up with performances that are out of print. BD: There’s something to be learned from every performance? Frisbie: Yes, there’s something to be learned about the piece. BD: Even a tape of your own previous performance? Frisbie: No, I’m speaking of LPs or tapes of other performers. It’s a tremendous help. It’s absolutely wonderful to really study various conductors and various performers and their interpretations. It’s just a tremendous age we’re living in in that respect. People didn’t have that luxury forty or fifty years ago. There is also a widening range of repertoire, but I notice that’s a hotly debated issue. Several conductors are very purist in the sense that they don’t want to have their music mistaken by anyone. They want to study it strictly from the score with their own ideas and they don’t ever want to listen to another conductor. BD: They would never consider going to a performance? Frisbie: I’m sure they would consider going to a performance. BD: Then how do they differentiate between going to a performance and hearing a recording? Frisbie: Most recordings now are made with so many splices and edits that’s it’s not an ongoing, purely-conceived movement. There are so many electronic things going on in making the final product and getting it technically so perfect that it’s far from the realm of live performance. That’s the thing. BD: Do you think live performance is the thing? Frisbie: I prefer live performances, but there is certainly lots to gain from listening to recordings. BD: The two should exist side by side? The farmer and the cowman should be friends? LH: I’m quite happy about that! There are more and more recordings of live performances. There’s a trend now, and I have seen in the programs that there are recordings, by and large, for National Public Radio. I have done two of them myself because listeners want to hear performances rather than recordings. What they get is a performance, and we’ve given permission to release whatever we do. There’s no going back and splicing them and editing them. If you have a memory lapse, you’ve had it! It’s very exciting because something happens to you. You get on another level of energy because if you know you have the splicing machine you can get a perfect thing. I remember recording the Chopin B Minor Sonata perfectly, not a thing out of place, but there were some two hundred takes to get that. I was very embarrassed when they told me how many takes they made, but they said not to be embarrassed because another recording by a very famous pianist had 2,000 takes for the same amount of music. Can you believe it! But I know they were telling the truth. By the way, I want to amplify what was said about listening to recordings, and how some conductors are purists. I’m not a purist in that sense, but I really cannot listen to other pianists playing the Beethoven Fourth Concerto. I sat down some months ago and listened to maybe seven or eight different recordings of that piece. I borrowed them from friends and heard Schnabel and Petri, all the big names including Rubinstein, and I had a terrible time trying to digest and get ideas from many of them. But then I never listened to them again because I’m very easily inclined to imitate something I like a lot, and then it may prevent me from finding the thing that suits me best myself in my own playing. BD: It becomes a kind of study tool that you use and then put aside? LH: Yes. When I’m learning a new piece, I don’t want to hear anybody else playing it until I’ve really digested it. Then I may go and listen to various recordings or something like that, but I learned my lesson because of my old teacher, Egon Petri, the great Dutch pianist. I had his recordings and I just worshipped that man and his playing. I listened to them a lot, and I just couldn’t help myself. I tried to play things like he did. Well, my fingers wouldn’t do what his fingers would do, so I was in terrible trouble. I cannot have that luxury anymore in listening to the recordings... not very often anyway. That’s the way it works for me. BD: You’re both involved now in a television recording for posterity of one of your works. Do you want to have this be remembered as the only way to do Summer and Smoke? LH: Oh no, not any more than any performance would be! BD: Would you rather have had a single performance video-taped? LH: No, and I’ll tell why; it is because this particular opera, Summer and Smoke, lends itself so well to the television technique. It’s a very intimate opera, very personal, touching very closely the characters. The audience can respond to them in a very personal way, and they do, so that makes it ideal for the television medium. The close-ups of Alma; Mary Beth Peil is such a wonderful actress, and her face is telling and very expressive. It’s perfect for the television. Other operas that I’ve written would be less interesting to me as a television venture. This one, no matter who did it on television would probably be interesting. Fortunately for us, we have a company that’s already done it twice, and Mary Beth has done it four times in four productions. We also have Kirk Browning who is much more experienced in television filming than anybody alive, so we have hopes that it will really be a very beautiful outcome. Kirk Browning (March 28, 1921 – February 10, 2008) was an American television director and producer who had hundreds of productions to his credit, including 185 broadcasts of Live from Lincoln Center. Born in New York City, Browning dropped out of Cornell University after attending for only one month and moved to Waco, Texas, where he was hired as a newspaper reporter. Because of a childhood injury, he was rejected by the United States Army when he tried to enlist during World War II, so he worked as an ambulance driver in England and France. In the late 1940s, he was a chicken farmer operating an egg route in Ridgefield, Connecticut when one of his customers offered him a job in the music library at NBC. The clerical position led to his directing live televised performances by the NBC Symphony Orchestra conducted by Arturo Toscanini. Soon after he was made a stage manager of the network's newly formed opera company, and he later became its Director. His productions included Carmen, The Barber of Seville, Billy Budd (with Theodor Uppman), Trouble in Tahiti by Bernstein, Pelléas and Mélisande, Salome, Abduction from the Seraglio (with David Lloyd as Pedrillo), Tosca (with Leontyne Price), Madama Butterfly, Griffelkin by Lukas Foss, The Magic Flute (with Price), Rigoletto, The Trial at Rouen by Norman Dello Joio, La Bohème, Così Fan Tutte (with Phyllis Curtin), Fidelio, Don Giovanni (with Cesare Siepi and Price), Boris Godounov (with Giorgio Tozzi), The Love of Three Kings by Italo Montemizzi (with Curtin and Tozzi), Lucia di Lammermoor, War and Peace by Serge Prokofiev, Dialogues of the Carmelites (with Price), Deseret by Leonard Kastle, and the following four operas by Gian Carlo Menotti: Amahl and the Night Visitors (premiere of the first opera written specifically for television), The Saint of Bleeker Street, Maria Golovin, and Labrynth, which was written for TV and included effects not available in the live theater. 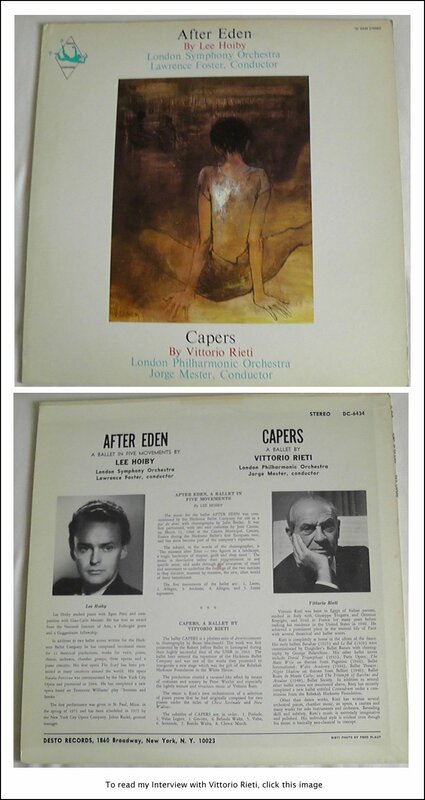 For the NET Opera his productions included My Heart's in the Highlands by Jack Beeson, The Trial of Mary Lincoln by Thomas Pasatieri, and Rachel, La Cubana by Hans Werner Henze. Among Browning's other credits are Frank Sinatra's first special in 1957; numerous Hallmark Hall of Fame productions between 1951 and 1958; Live from the Met and Great Performances for PBS; and television adaptations of plays such as June Moon, Damn Yankees!, A Touch of the Poet, The Taming of the Shrew, The Time of Your Life, Tartuffe, Fifth of July, You Can't Take it with You, The House of Blue Leaves, Our Town, and Death of a Salesman, which earned him a nomination for the Directors Guild of America Award for Outstanding Directing - Television Film. Browning won two Primetime Emmy Awards, one for directing a 1987 special with Plácido Domingo and the other for his 1988 production of Turandot, both broadcast by PBS, and two Daytime Emmy Awards, for The CBS Festival of Lively Arts for Young People in 1973 and La Gioconda in 1979. He also received two Christopher Awards and a Peabody Award. BD: But you don’t want this to impose anything on future performances? BD: [Putting a formal close on the tape for use during the promotional broadcast] I’ve been speaking this afternoon with the distinguished conductor Robert Frisbie, and the distinguished composer Lee Hoiby, who are involved now in a production of Summer and Smoke for the stage and for the television, and also performances of the brand new Piano Concerto No 2 with the American Chamber Symphony. Thank you both for coming in to the studio and talking with me today. LH: You’ve asked us some wonderful probing questions. BD: [By prior agreement we continued the conversation for later use . . .] Do you enjoy going to other operas? Do you like Aïda or Götterdämmerung? LH: I really don’t, no. I don’t like opera in general, and the reason is because I don’t really like the way it’s done. So often the singers are like cardboard characters, and the high C’s become the raison d’être. I’ve seen enough of that in Italy and in New York. It’s turned me off! If I go and see a really beautiful production, such as Callas in Tosca, I’d be on the edge of my chair. I would like that, but first of all they rarely have enough rehearsal time, even the big major houses. It’s become an industry, and it even impairs the music. When you have a festival production where they really get a chance to work on it, then you can revel in it. My favorite turns out to be Mozart. I never get tired of Mozart, and I love Pelléas, but I hope I never have to sit through Traviata again. I’ve always had to go and listen to Traviata to hear a certain soprano. LH: Wow! That’s the way it used to be in the old days. Frisbie: He was just absolutely thrilled. Karl Böhm was the conductor, and I don’t remember who the stage director was, but he was just thrilled with that kind of time, and the luxury to let things really settle. BD: Are we trying to compress too much activity into a short lifetime? Frisbie: I definitely think so, and it’s so expensive nobody can afford it. They’ve made it impossible. BD: So then the performances die? Frisbie: They have to. They’ll just do Bohème and Traviata and Aida, and things like that, and they’ll do them and do them and do them. Everybody gets to really know the musical parts, and they have a good chance of understanding if a strong conductor in charge. But watch out! You get a new work that they don’t know so well, and it can be sloppy. That’s why it’s very hard to judge a new opera — you don’t know if you’re really hearing it. BD: Is there any work that you would go out of your way to be sure and hear? Frisbie: Nothing interesting really comes to my mind. I’m not really an opera boy. LH: I get the itch now and then to go and hear the Chicago Symphony when they come to New York. I really want hear a beautiful orchestra, to hear those stings and those woodwinds and I give myself a treat. BD: Do you like Rock Music? LH: Oh, yes! Not acid rock with the drums and the boom-boom stuff, but I like Joni Mitchell and her ilk. BD: You like modern balladeers! LH: [With a big smile] Yes. Frisbie: [Turning the tables] I have one a question I’d like to ask Lee! Now that you’ve written your Second Piano Concerto, do you have any ideas or plans for writing a symphony? BD: I hope they all get done. Bring your chamber opera, and do that for us! Have you written another one-act? LH: Yes, The Scarf. It would make a perfect companion to Something New for the Zoo as they’re both about witches. Frisbie: We steer away from one-acters simply from the standpoint of production costs. It costs as much to produce the one-acter as it does a whole evening work, and there’s more than twice as much rehearsal time. You have two casts and all of the attendants, so from a financial standpoint, it’s not very likely. BD: Could you write a pair of operas that are tailored to the economics? LH: I did! There are only three characters in one and four characters in the other. But I mean, but they’re very simple texts. BD: I mean would you ever consider writing companion pieces that could use the same set, or be practical in that way? LH: It would be a good idea. Frisbie: You have to think in practical terms. Summer and Smoke was originally scored for a quite large orchestra, and then you did it with thirty-two. LH: I made a small orchestration. BD: Are you happy with the result? LH: I’m happy with this orchestral reduction. It’s a good one. That was an accident, but it was a very happy one. BD: Because of the economics, I wonder if we’re actually getting better, more thoughtful works than if you had all the time and all the money and all those rehearsals and all the resources? LH: There’s a lot of truth in that. The restrictions are very, very good for us. BD: One of the beauties of the game of chess game is that it has 64 squares. If you had a chess board with an infinite numbers of squares it would not be interesting at all. Frisbie: One interesting thing with his Piano Concerto, we’ve been talking about less is more. The way he orchestrated this, the thirty-five musicians in the chamber orchestra sound at times like at least twice that many. The sonorities are big and I was not ready for that. As I studied the score, I just didn’t realize that the sonority would be so rich, and the palate of colors would be so varied. It’s really beautiful the way he’s done it. He’s doubled all the woodwind and has English horn and bass clarinet and piccolo. LH: I’m glad you say that because I had a lot of offers for small orchestras and you have to sharpen your wits. Every minute counts so you can’t do what you do with a full symphony orchestra. You expand things as a matter of course, and when you have a limited number of resources you have to strengthen them, and then the whole thing takes on a different aspect. The balance has become more important and you take more care with it. The Scarf is only thirty-two players. BD: Do you have any desire to teach? LH: Not a desire, but I do feel a moral tug in my heart that I would like to share my ideas one to one. That is the only way I could. Someday I do want to do it. BD: Thank you so much for coming down to the station today. I appreciate it very much. LH: Thank you for having us. Almost eleven years later, in April of 1991, the composer was back in Chicago for a special concert by the William Ferris Chorale to honor his 65th birthday. We met again at that time, and here is that conversation . . . . .
BD: You’ve spent all of your career writing tonal music. Are you glad that tonality is coming back into fashion? LH: Can you imagine how glad I am? [Laughs] I never knew it was going to happen. I hardly dared even to think about it. Once in a while I let myself hope, but I didn’t think about it too much, and I just went on writing music. BD: But your music was always getting performed! LH: Mm, yes. I had performances right along, but not as many as I would have had if I had written atonal music. Now that the atonal holocaust is seemingly blowing by us and leaving us in peace at last, people like me can expect to have more acceptance in the musical world at large. BD: But you never strayed from being true to your calling of writing tonal music? LH: When I was a pupil, I brought one little fugue to my lesson in the atonal style, and my teacher said, “I don’t think you’re an atonal boy, Lee.” I said, “Oh, I don’t think so either,” and I never strayed. BD: All this time when people weren’t listening to tonal music, for whom were you writing? LH: I had been getting commissions right along, and some of them took me a long time to write. The operas each took me about four years to write. But when I didn’t have a commission, I wrote just for the pleasure of writing. I love to write music, and singers would always perform my things. Of course, you don’t make any money from songs. The little pittances that the singers could pay you wouldn’t amount to much, anyway, and they usually don’t even bother. Then those who could really pay you something figured they were doing you a favor by singing your music. But in spite of all that, the core of my musical life centers around the human voice, be it operas, or songs, or choral music. BD: So you and Ned Rorem have made the American Art Song in this century? LH: Yes, but he’s written a lot more songs than I have. BD: Is there any competition between the two of you? LH: Not as far as I’m concerned. LH: Oh, there are no sorrows. There’s a lot of struggle sometimes, but the great advantage is that you begin with texts, and if you’re like me and love words, that’s already a great boon to start with. But if you’re writing a piano concerto or a string quartet, or anything without words, there’s nothing except your pencil and your page. LH: There’s your mind, yes, but you have that for your songs, too. The thing about words is they will help you get the mood and get the rhythm. The quality of the emotional atmosphere is already there before you even pick up your pencil. It’s like you’re just jumping on board a wonderful vehicle that’s already rolling along, and you just add your sparks to it. LH: It’s a collaboration, right, with the poet. BD: What if the poetry is so complete that you can’t add anything to it? LH: Even if it has a kind of musical flow, I’ve added to it. I’ve taken poetry that was rather complete. For example, The Tempest is pretty complete, and yet I made an opera out of it. I know what you mean, though. I would put it a different way... there is certain poetry that does not invite music. It’s more cerebral, just as a Noel Coward play does not invite music. It’s not lyrical. So it’s only lyrical poetry that draws the composer, or at least draws me. A number of years ago I was asked to write a song to a poem, any poem, of Frank O’Hara, because he had just died and they wanted to commemorate him. They asked various composers to set something to music, and I said I would be very pleased to try. I looked through his 400 pages of collected poems and couldn’t find one poem that I could set. BD: And yet there were a dozen other composers who probably jumped right in? LH: There probably were. I don’t know whether anything came of the project, but I’m sure that there are other settings. BD: If you’re asked to do a string quartet, do you find that you miss the words? LH: It’s more difficult for me. This piece that I wrote that’s going to be on the program tomorrow night — Overture to a Song — even though it’s based on a song still it doesn’t have any words. I had to really construct it note by note from the very beginning to the end, just as the organ piece will be on the program tomorrow, too. Anything without words is more difficult for me. It seems quite logical. BD: Does that influence which commissions you might accept? If you get two commissions, one for a song text and one for a symphony you would opt for the song text? BD: Do you accept every commission that comes along? LH: Yes, so far. I like to remember Darius Milhaud was asked to write a concerto for harmonica and orchestra. This was back in 1940, and he did not want to do it. He did not have any affinity or care anything about that instrument, so he told his agent to charge them $10,000. In 1940, that was a lot of money, but the player said that’s fine, so he had to write it! BD: Can you conceive of something that would come your way that you would not want to do? LH: I can see that someone might ask me to write something that I don’t think I could do. I don’t know if I could write a concerto for guitar. I might be able to write some sort of a piece, but I wouldn’t be able to write a very big piece for guitar because I don’t play the guitar, and it’s an instrument that has very specific limitations on it. You cannot do certain things on it. I would have to take time out and learn a lot about it. But, no, I can hardly think of anything I wouldn’t do. BD: Does this presuppose that you’ve learned the double bass, and the trombone, and the piccolo? LH: No, because they are not that restricted. I don’t know why. Maybe I’m wrong about it. But I did buy a guitar once and I tried to learn to play it because I love the sound of it. I had a terribly hard time. I learned to respect those myriads of kids back in the sixties who all bought guitars and started the new craze of playing guitars. I love the idea of holding the music right next to your body. That’s very nice. I did write something for the guitar in my opera Summer and Smoke. There’s an interlude, and I learned from that little interlude how little I knew about the guitar. I got a guitarist to work with me and show me what I could and could not do. BD: Those other instruments I mentioned are single line instruments, rather than chordal instruments. LH: I have a lot of feeling about the harp. I would gladly write something for the harp, although it, too, has quite a lot of limitations. You really have to know what you cannot do on the harp. You can’t be too chromatic. BD: Do you keep in your conscious mind the limitations of the human voice? LH: Oh, I try to, yes. If I sin ever, it’s because I write too often, too many high notes. But then I realize it afterwards and I take them out, or I lower them. Usually it depends on the kind of voice you’re writing for. You have to know what it can do best, and next to the flute, voices are probably the most versatile and agile instruments there are. BD: Do you write for a specific voice, or for a specific voice type? LH: It depends on who I’m writing it for. If it’s a commission from a coloratura soprano, then I’m writing for her. Any poem that I pick to set will often give me a clue of what kind of a voice it wants to be sung by. If it’s a gloomy, dark poem, I might choose to set it for a lower voice. Most of the songs I have written have been for high voice. BD: When you get a commission, do they provide the text, or do they ask you to select the text? LH: We usually say that it has to be a mutually agreed upon text. Just this last year, I wrote a series of songs for a mezzo-soprano. She wanted to do poems by southern writers because she’s a southerner, and we found, to our dismay, that there weren’t that many southern poets. She wanted me to set something from Eudora Welty, and there, like Frank O’Hara, I went through her works with a fine tooth comb. I wanted to do it very much because I love Eudora Welty’s books. I’ve known them all my life, but I couldn’t find anything that I really could do because they have dialect in them. LH: Regional, yes, and I couldn’t see myself setting those kinds of lines. But we did finally find a group of poems by southern writers, and we agreed on them. It took a long time, months and months and months of searching. BD: When you’re writing a piece of music — either vocal or instrumental — how do you know when you’ve finished the task of putting all the right notes on the paper? LH: Over the years that has become a lengthier and lengthier process. I’ll get to the end of the piece and then live with it for a while, and then have input from friends. It has to digest for a while, and then a week later I’ll go back and play it over and immediately think of changes. In the meantime I get so enthusiastic that I’ve sent the piece out to somebody, or more than one person. I have to remember who it was, and I send them the changes. So I’m continually running across early editions and early versions of pieces of mine. Today at the seminar at Roosevelt University, a student sang a whole program of my songs, and some of them were copies they had bought ten years ago, and those songs have been changed considerably. So I had to explain that to them. I’ve turned into a great reviser, and I keep searching for, as you call them, the ‘right notes’. BD: What happens when someone performs something in the old version? Do you want to get up and strangle them? LH: [Laughs] No, no. I realize it’s my own responsibility, and there’s nothing I can do about it. But I don’t feel too bad about it because I had already learned to play the Chopin B Minor Sonata one way, when one day I picked up an edition of it and there were changes in it. He was a reviser, too. Most composers have revised their works even after they’re in print. Certainly all the opera composers did. BD: What if someone comes to you and says they like the earlier version better? LH: Then I disagree with them very strongly. [Laughs] But I could be wrong. Henry James was wrong about his revisions. Many people think he shouldn’t have revised his books toward the end of his life. BD: Would it be good to have a compact disc with all of the songs in the various versions, so that you could select track by track which version of each song you prefer? LH: No, because they really aren’t different enough to be called versions. There will be little changes here and there. A measure will be taken out, a note may be slightly altered, dynamics are changed, the metronome markings will be changed, but on the whole I don’t really make major changes. But it’s strange when you mention about a performer playing the earlier version. If a performer learns the early version, they don’t want to change it. They don’t like to think, or they can’t bring themselves to like it any other way. BD: So your first exposure to something is the best? LH: Yes. That’s what you retain and that’s what you want. You don’t want it to change. BD: When you decide that you need a revision, should you revise it, or should you write a new piece? LH: Oh, no, no. These are little revisions and you have to make them. They can be very small and yet be very important. One note can change and make a phrase much better. BD: Can you distinguish between revisions and just the ongoing process of bringing the piece to completion, which sometimes can take a long time? LH: Yes, those are two different things. A real revision was my Violin Sonata, which I wrote as a student. I knew that it wasn’t quite working as a piece, so I just threw it in a box. Then my friend Mark found it in the box 20 or 25 years later and said, “Hey, this is a good piece. You should work on it. Write a new development section; add a scherzo.” Now, that’s a real revision. I made a lot of changes. I added a scherzo and changed the development section. My friend Dolores Fredrickson and her husband had already learned the first version and played it, and they didn’t want to play the new version. [Laughs] They weren’t the only ones, but it was eventually published in the new version. But then there is the ongoing process that’ll take a few weeks after you’ve finished it. You go on back and play it again and tinker. BD: But that’s still really bringing it to a first performance. LH: Yes, that’s what that is. BD: Do you still tinker with it after it’s been engraved? LH: Even after it’s in print, yes, usually because I’ve gotten involved in performance. As a performer, I find that takes me deeper into a new piece. For instance, this piece called Overture to a Song I’d never played before this event here. Now I’ve had two long rehearsals, and I haven’t actually changed anything in the rehearsals, but while I was learning the part I did make a lot of changes. I sent it to the players that had commissioned it, but they didn’t write back yet. BD: Well, who is right — the composer, the performer, the audience? Who passes judgment on pieces of music? LH: It has to be the composer. That’s where it comes from. You have to respect the wishes of the man whose piece it is. BD: What do you — as the composer or performer — expect of the audience that comes to hear your music? LH: I never have any expectations. I just hope they’ll like it. By and large my music is very communicative. It’s immediate, but at the same time, lots of times people tell me they’d like to hear it again and again and again. And singers, once they get a few of my songs under their belt, keep on programming them because they’re rewarding to sing, although they are demanding. But anything worthwhile is demanding. BD: But you don’t make them too demanding? LH: I never try to make anything difficult. On the contrary, I will simplify as much as I can to make it easy on the performer, and bring out the best the performer has. But if it’s a virtuoso piece, it’s going to be hard and it’s going to be hard to learn. There is a wonderful song of Schubert, Nacht un Träume, that has a long, long note at the beginning of it. It’s the simplest song in the world, but it’s very hard to sing, to sustain that line. I learned about writing songs from Schubert. I fell in love with Schubert when I was in my teens, and just buried myself in Schubert. It’s probably where I learned how to write for the voice, and he asks a lot of his singers. Du bist die Ruh is a good case in point of taking the voice up slowly to a high note and then holding it. You have to have a wonderful technique to do that! BD: Lots of breath support. LH: Mm-hm, but then the audience will swoon if you do it right. Then everybody’s happy, and the singer who has surmounted the difficulty feels pleased with him or herself. If it’s musically effective, that’s your only guide. 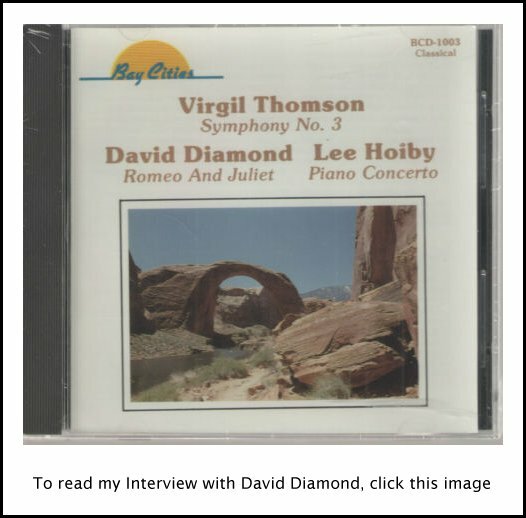 To read my Interview with Virgil Thomson, click HERE. To read my Interview with Paul Bowles, click HERE. BD: You’ve been hearing performances of your music throughout your creative life. Have you basically been pleased with what you’ve heard? LH: Oh, there’s no ‘basically’. A lot of the times I squirm. Even if it’s a very good performer, if they’ve got a tempo that I’m not used to. It might be a good tempo for them, and the audience may enjoy that tempo, but I won’t enjoy it. [Laughs] I’m like those who learn the thing the first way, and think that any other way is wrong. If I’m around while a piece is being prepared, as I am now in Chicago and working with Bill Ferris and his chorale, I was very happy to be able to slow them down here and there, or ask for a little quicker tempo or a certain kind of phrasing just because it pleases me. If I were to simply hear the piece, it would probably make very much the same impression anyway, but I’m very easy-going in general. I’m not one of those finicky composers that makes people crazy at rehearsals. BD: How much leeway do you expect on the part of the performer to put his own interpretation into the work? BD: Will you then incorporate those ideas into future performances? LH: I might. I’ve been known to do that, yes. In rehearsing with singers in a new piece, sometimes, when I feel that they want to hold onto a note longer, or like even if they’re having trouble with a note, I will change it then. They get very startled by that, because performers these days are used to thinking of the note on the page as carved in granite, and if you reach up with a pencil and scratch it off and write a new one, they think something is really wrong. On the other hand, they’re quite thrilled. BD: Let me ask a great, big philosophical question. What is the purpose of music in society? LH: Haydn said such a beautiful thing in a letter, once. It was something like, “To give balm to the soul after a hard day’s work.” You come home and you need something to lift up your spirits, and I agree with that. I think it’s to improve the quality of life, to improve the quality of how you feel. It’s very good for the health, which is why I have no patience at all with what I call ugly music, music that really grates and grinds. There is room for it; there is need for it, especially in dramatic works, and works with certain kinds of texts. You have to do that; you have to bear that for a while, but I would only tolerate that as a rare exception. For me, music really ought to be beautiful. It ought to be a song from the heart, always. It ought to be full of feeling, and make you feel the rhythm of it that goes along with the rhythm of life — which begins with the beating of the heart. It’s a very physical thing for me, as opposed to an intellectual thing. It’s not a thing so much of a mind, and yet there is that contradiction. You have to have the mind very much involved when you’re writing music of any sophistication at all, but it’s the heart that has to govern it. BD: You use the word ‘sophistication’. Do you expect sophistication on the part of the performers and the audience? LH: The audience doesn’t have to have it consciously, no. It’ll be there in their response if they respond to it. Somebody that’s completely uneducated musically can respond to the most sophisticated musical event, not knowing it’s sophisticated at all. By that I mean that it is complex, the harmonies may be very complex. The trio in Rosenkavalier has some very, very clever and unexpected harmonies in it, and it moves everybody. Everyone responds to that. But it’s like Mozart. It sounds simple, but if you look at it closely, you find this enormous amount of artifice and craft and elegant know-how going on there. The audience doesn’t have to be aware of that. BD: Where’s the balance, then, between the inspiration and the craft? LH: That’s the job of the composer. He has to make the content fit the vessel properly, and not let it seem overblown; not cheat the form, and not be too repetitious, ahem, ahem, ahem, like some of our minimalists. You can spot it right away when the composer goes off the rails, or if he never does get on the rails. You can’t fool anybody, at least in the long run you can’t. The audience knows. Two thousand people sitting in a concert hall are not going to get up and cheer for something that doesn’t work. At least by the fifth or sixth time they hear it, if they still don’t accept it — like they never did accept atonality, and they never will — eventually it’ll die, which it’s doing, I’m glad to say. BD: You’re really trying to put a stake in the heart of atonality. LH: Oh yes, and hammer it with a sledge hammer. BD: What happens if your music is put on a program that also has an atonal piece on it? LH: Oh, I’d be very glad to have it there. It would stand out like “a ruby in a black man’s ear,” to quote Joni Mitchell. It’s always the best kind of program to have me on — depending on who the audience is. If it’s 400 hard-core atonalist lovers, then, of course, I don’t stand a chance. BD: Would you rather have your music on an all-Hoiby program, or on a mixed program that also has Mozart and Beethoven? LH: I’m glad to be anywhere on any program. It’s just wonderful to have your music played! I don’t mean to sound like a crab except where the atonalism is concerned. I think it has been a terrible disaster for the holy art of music for the last 50 years. It’s probably done a great deal of damage to very talented young people who have been prevented from pursing the career that they otherwise would have done. It is an injustice of a very high magnitude, and it deserves to be addressed and it deserves to be righted. It is being righted. It rights itself eventually, but it did cause a lot of harm. BD: One last question on atonality. Is there any good that’s come out of it? LH: Why, of course. It added further means to the composer to deal with certain musical requirements that he couldn’t deal with before. Roy Harris called it “moonbeam and spook music.” Well, nobody can make better moonbeam and spook music than the atonal composer with the rather magical effects that he gets. I remember the first atonal music I ever heard thrilled me to death. It was the Webern Five Pieces for String Quartet. I was a student still at the University of Wisconsin, and the Pro Arte Quartet played these five pieces on a concert. It was the last thing before intermission, and they played it as probably could never be better because the first violinist was Schoenberg’s son-in-law, Rudolph Kolisch. It was in his bloodstream, and he was utterly devoted to it. They worked very hard, and the Pro Arte was one of the greatest quartets that ever existed. Three of us sat together in the balcony, looking, saying, “What’s this?” So at intermission we ran back stage and we said, “Mr. Kolisch, would you please play it again? We’d love to hear that again.” That piece really works. It has some kind of magical, mystical, shimmering effect, especially the way they played it. BD: So, obviously it touched you? LH: Oh, it touched us very much, and it was the first time I’d ever heard such music. Later on, when I went to listen to that Pro Arte rehearsing other quartets of Schoenberg, especially that miserable trio of Schoenberg, I sat and listened, and I hated it more and more and more as I heard it more, because it doesn’t work. BD: The Webern is more of a flash in the pan? LH: No. The Webern was a better piece and had more sensitivity in it. It had more inspiration. I don’t know why, but it worked better. There are pieces in that language that work. BD: Have you done some teaching? LH: Not a lot. I’ve had some private pupils. BD: What advice do you have for someone who wants to write music in the last decade of the twentieth century? LH: I’m only really limited by my own experience, and I know what helped me, and I would never know how to do what I do if I hadn’t had a very deep and prolonged training in Renaissance counterpoint. I don’t mean Bach counterpoint, which is quite a different thing and is much easier to do, but Palestrina counterpoint which is what I was taught at the Curtis Institute. I spent two whole years doing nothing but counterpoint, building up a strength of understanding of the individual lines, which gives you a kind of a freedom. BD: For most people, that would drive them round the bend! LH: If you get into it, you might drive some people round the bend, yes. [Laughs] But if you keep on with it and go to the end and learn how to do eight-part florid counterpoint and keep track of all the rules, then it sharpens your ear in such a way! Weight lifters have to spend hours lifting weights and developing their muscles. This is a way of developing your musical muscles, and to train your ear to hear many different voices at the same time, and yet to have them always be musical. In the very first lesson I had at the Curtis Institute, Menotti said, “Now, these are not exercises. Get that out of your head. This is music.” And boy, did I open my eyes! I said, “Ooh, that’s interesting. Okay, we’ll see what we can do.” I learned how to make a line, starting out just by making a line, by following these rules. You do restrict yourself, and you discipline yourself enormously to learn to do that kind of a thing. If you can do that, then it gives you the equipment to work in almost any other direction that you want. BD: I would assume, though, that you would never in your wildest dreams write a piece in that style. LH: Oh, no, of course not. No. That style is totally from another world, but if you allow yourself to be strapped into that seat and follow those rules, you begin to understand why it is that music works the way it does; why contrary motion is such a wonderful thing, and why parallel motion is so dull just because it’s richer and more exciting. It’s a very big subject you’re asking me about. It took me a long, long time to begin to understand how it worked and why it worked the way it does. In the end there really are no rules. Some of the best melodies in the world break all the rules of a good melody. BD: Are you breaking the rules, or are you making up new rules as you go along? LH: You don’t really have any rules. The only rule that a composer has is he has to make it work. The piece has to work and has to achieve its effect upon the listener, by whatever means. I think Verdi said something about that, “If it works, do it.” It’s got to have a mysterious effect. You can’t program it. If there was a way to teach how to write a really good piece, then we’d have thousands and thousands of good composers, whereas each generation really only produces a handful, out of thousands who try. How many operas did the Italian government pay for and which you will never hear before they found Puccini? BD: Should we resurrect them, or let them lie? LH: No, they’re no good. They tried and they failed. BD: Have we got too many people trying to write music these days? LH: Oh, I think so, yes. They should always be discouraged because it’s a very, very hard profession. LH: [Sighs] Not for the person that’s determined, but maybe even sometimes for the person who’s determined, if he doesn’t have enough talent or gift for it. BD: You can’t just will yourself to be a composer? LH: No, and I’ve known people who were trying to do just that. I felt for them, but on the other hand, what you just said makes me think of a little dinner conversation between T.S. Eliot and someone who would become a very well-known English poet. Eliot turned to the young man and he said, “Young man, what is it you want to do with your life?” He said, “Oh, Mr. Eliot, I want to be a poet.” After a long silence, Eliot said, “I could understand it if you said you had some poems you had to write, but I don’t know why you’d ever want to be a poet.” [Laughs] I never wanted to be a composer, but I could never stop writing music. If somebody says, “I want to be a composer,” and especially if they say, “I want to be a great composer,” which I’ve heard actually a very well-known man say, you cannot stop them. BD: You want to write music. LH: Well, yes. It’s really like there’s a magnet between me and my Steinway. I get up in the morning and most days I feel it just pulling me over there. Some days I like to take a rest, but most days it’s the thing that gives me most pleasure in life. It’s not true of every composer. Some people have a very hard time and don’t like it. I like it even when I do have a hard time. BD: That’s the secret — to pursue it even when it’s tough. LH: I guess so. It’s a matter of commitment, and I learned very early in life that it’s a great thing in your favor. It gives you ballast in your life to have a commitment to something. I always felt that I was really lucky at the age of sixteen to know what it was I wanted to do. 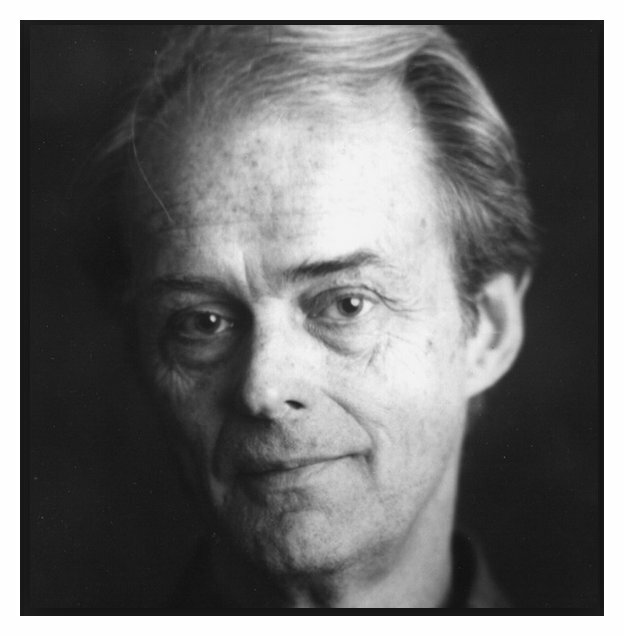 Gunnar Johansen was a great pianist in Madison, Wisconsin, and when I went to study with him at the age of sixteen he said, “Do you really want to play the piano?” That’s what I thought I wanted to do then, so I said, “Oh, yes, Mr. Johansen!” He said, “Do you know what that means you’re going to have to do?” I said, “What?” and he said, “You’ll have to practice seven hours a day for the rest of your life. Are you willing to do that?” “Yes,” I said, without any hesitation at all. It never had occurred to me that it could ever be a life that I could ever hope for, and here was a man, a great man, telling me it still was a possibility. I grabbed it like a man in the ocean grabbing a life saver. BD: Are you pleased that you did grab it? LH: Oh, yes. It’s been a wonderful life. BD: I hope for lots more still to come from your pen. LH: Well, at my age I feel that every new day is a bonus. I hope it goes on a long time. BD: Thank you for coming back to Chicago. I appreciate it, and thank you for spending a little time chatting with me this late night, early morning. These conversations were recorded in Chicago on June 4, 1980, and April 10, 1991. Portions were broadcast on WNIB several times in the following years, and on WNUR in 2007. Copies of the unedited audio were placed in the Archive of Contemporary Music at Northwestern University, and the Oral History of American Music archive at Yale University. The transcriptions were made in 2016, and posted on this website at that time. My thanks to British soprano Una Barry for her help in preparing the first interview for this website presentation.